It may look a bit soft around the edges, but it’s not the case. 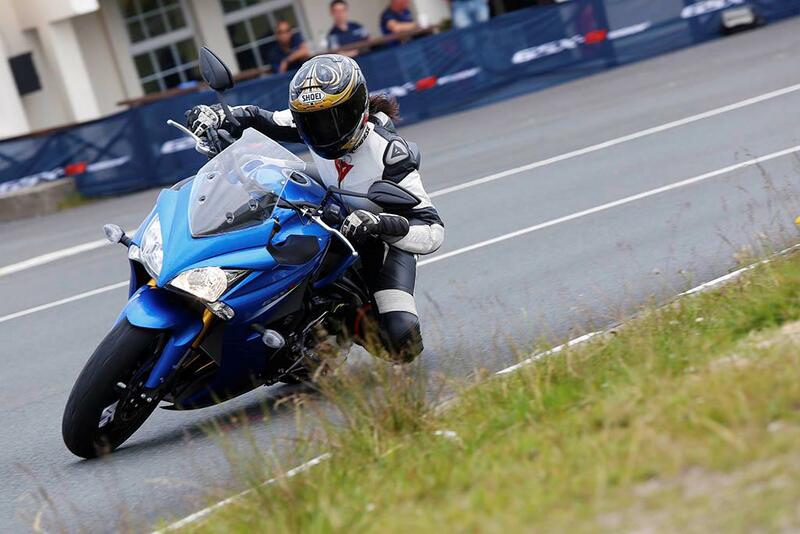 With pin-sharp handling and a gutsy motor the GSX-SF is a true sportsbike in almost every sense. If you want usable performance and comfort, you can’t go wrong. 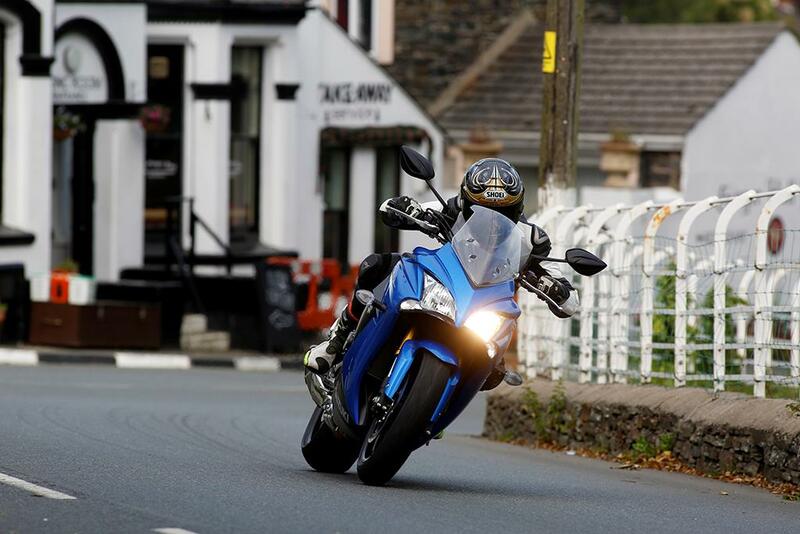 This is no soggy, soft sports tourer, the GSX-SF flicks through bends like a well dialled-in race bike. It’s precise, planted in corners and uncannily stable at speed. There’s fully adjustable Kayaba suspension up front, running slightly more fork oil and a different shim stack to that of the naked version in order to compensate for the fairing and also give the GSX-SF a sportier ride. At the rear a preload and rebound adjustable monoshock links to a current-model GSX-R1000 swingarm to help you hook up the 145bhp from that stonking GSX-R1000 K5-derived engine. 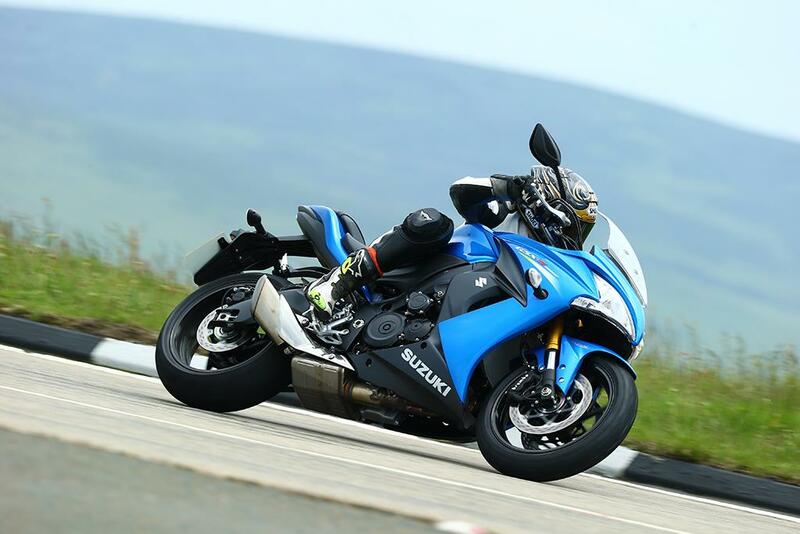 Suzuki have retuned the legendary, long-stroke inline four from the 2005-2008 series GSX-R1000 with revised camshafts that are more suited to road use, as well as new lightweight pistons, and a four-into-two-into-one exhaust system which ends in a stubby can. The GSX-S barks through that silencer with real R-series rowdiness. Despite giving away 30bhp in peak power, at no point do you find yourself missing the current model GSX-R1000’s extra wallop. 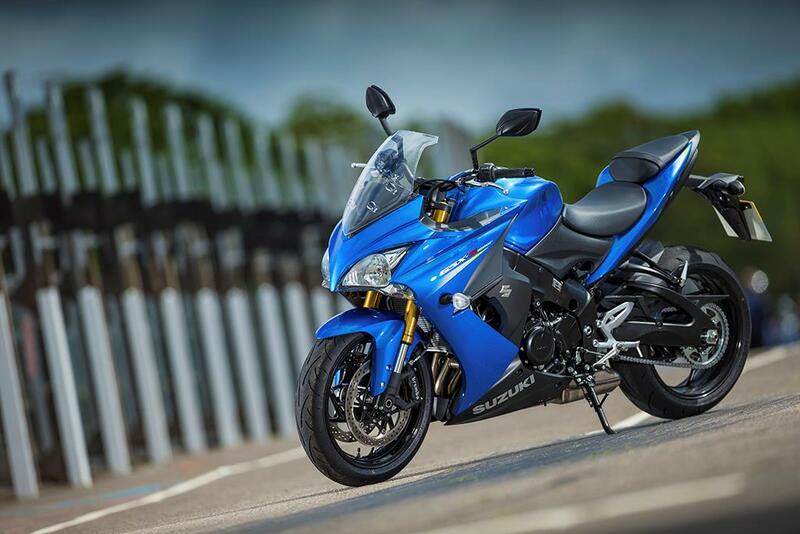 The GSX-S has brilliantly strong mid-range which is extremely easy to exploit on the road. The GSX-SF’s ‘crouching beast’ inspired looks aren’t as dynamic as the range-topping Gixer, but it’s the only area where the GSX-S1000F falls short. The build quality appears to be excellent, chunky and robust. It has a slightly Honda-esque feel to it – chunky and well-made but not particularly inspiring. The K5 engine is a well proven unit, so reliability shouldn’t be an issue. When you consider that the new GSX-SF is £1000 cheaper than the flagship GSX-R1000 superbike, plus you get the added bonus of traction control too, it makes real sense for riders looking for a seriously useable, comfortable sportsbike. With flat bars 136mm higher than the GSX-R’s clip-ons, and footpegs that are 24mm lower and further forward, the SF’s riding position is a lot more upright and roomy than the race-bred GSX-R1000. Full LCD dash runs the full complement of features: full gauge, gear position indicator, trip meters, traction control level plus live and average mpg readings. 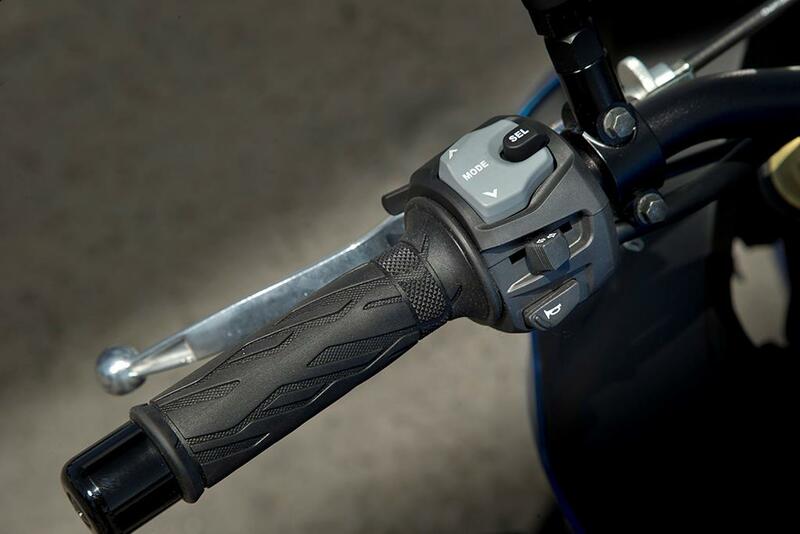 There’s also Suzuki’s brilliant three-way traction control system, and hard-wired ABS system fitted to all UK GSX-SFs. There's also an unfaired version of the GSX-S1000. 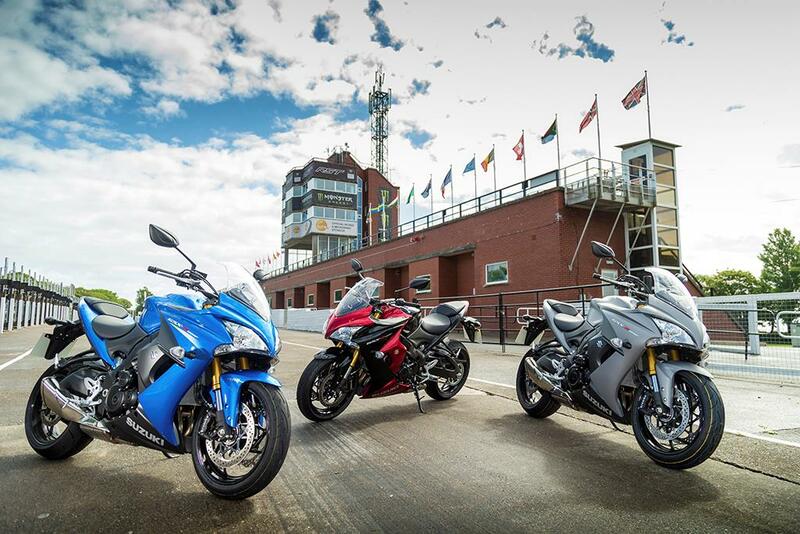 12 owners have reviewed their SUZUKI GSX-S1000F (2015-on) and rated it in a number of areas. Read what they have to say and what they like and dislike about the bike below. Would absolutely recommend this machine. I bought the GSXS-1000F when it first came out in 2015, the blue and it gave me three years of totally awesome biking. Lat month I bought the limited edition Phantom, matte black, looks lovely and feels lovely. Great, well built machines. Quality brakes and stopping. Ride quality is great and comfortable. Awesome engine that does what you tell it. Never broken down. Great reliability and great build quality. After 3 years of winter use the last service was quite expensive. But the new Phantom will not be used in the winter. The original adverts said the bikes audience would be for "above average earners". But, it gives approximately 54mpg. Excellent. 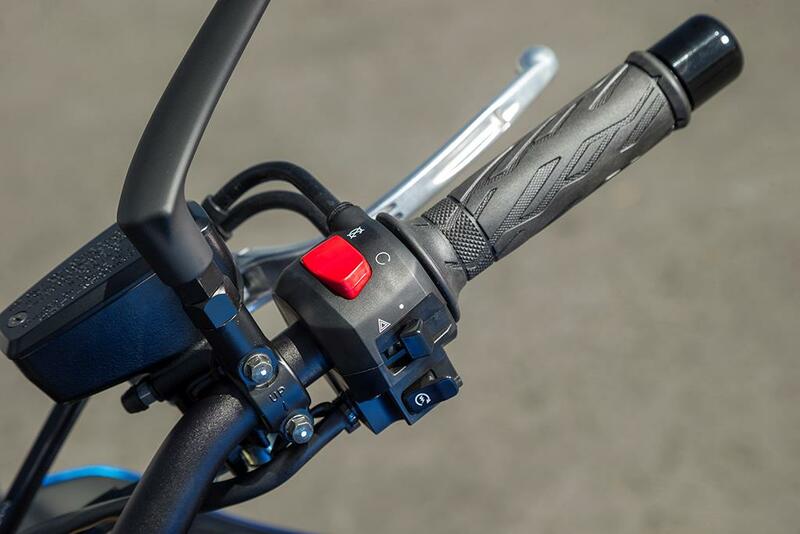 Renthal Fatbars as standard gives a comfortable ride position. Used a set of rear tyres a year, but got good mileage out of them. The dealership fitted a battery charging cable and that was extremely helpful during winter and weeks when I didn't use the bike. Both bought from dealerships. 2015- Dealership in Cytir Lane, Bangor. NorthWales- excellent customer experience. 2018- Dealership in Lincoln- B&B Motorcycles- excellent customer experience and fantastic staff- so helpful and friendly and what they do not know about Suzuki is not worth knowing. Very comfortable and really good riding position for up to about 2hrs. This is not a bike for a pillion. What can I say its a revamped K5 engine. It`s got real grunt whenever you need it. It pulls right through the mid range, even in higher gears it`ll just pull. You can really work it, it just sings at high revs and is really responsive. Brings a real smile to your face. It`s just as happy at lower speeds. Typical Suzuki bullet proof engine. No corrosion whatever but fairings are pain to take off for cleaning. The only failure i`ve had was the ignition/ lock. The bike was 3 months out of warranty but here`s customer service, Suzuki covered the cost of all replacement parts. Well done to them! This figure is averaged over all services up to 13000 miles. Does not include tyres. Bought as ex demo from dealer who did me a really good deal with Yoshi extras. Mine is the 2017 model, which is supposed to have decent fueling, but it doesn't. The rear shock must have cost Suzuki £10 as it is total junk. The engine is very vibey. Good points include: it is very comfy, the gearbox is superb and the mirrors are the best I've ever come across. It is also very fast, with very good fuel economy. I'm stuck with either giving it away or keeping the thing and spending £1200 to make it work. It will still be a vibey pig though. I reckon I will take a big financial hit and dump it. This is an excellent excellent machine. 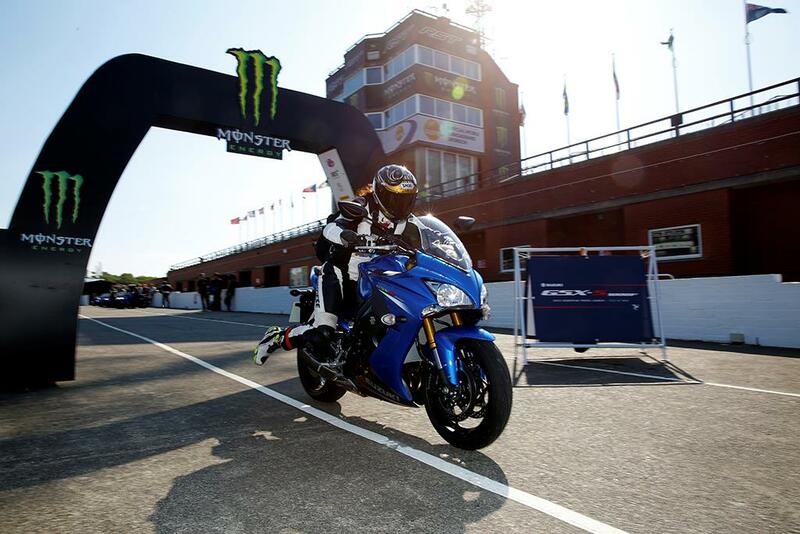 All the benefits of the GSXR 1000, with far less of the impracticality of owning a 1000cc superbike. The only question mark i have about this is why it took Suzuki so long to create it! I'm not awarding this full marks because the engine is based on the K5 R1000. I'm giving it full marks because it makes so much useable power, as opposed to headline figures. It has the best low down engine response of any of the inline 4s that I have ridden. It has an instantaneous throttle response, which some have complained about, but I personally really like that, and wish more bikes were like that. It also sounds great, even with the standard exhaust. As for performance, it's got plenty. It's a Japanese bike, which should tell everyone all they need to know regarding how little trouble it has been owning this. Even when I dropped it (entirely my own fault, not the bike's), all the damage was merely cosmetic and it has ridden just as well since being repaired. Not much in the way of electronic back-up and all the better for it! ABS to stop me hitting a tree. Traction control has saved my bacon a few times. No power modes thank goodness. Very good. Bought from a Suzuki Dealership in North London. Still in touch with many of the staff there (by choice, not necessity). A Hidden Gem that the press struggle to pigeon hole! Great real world sportsbike for every day use. 5000 miles in 12 weeks of ownership, Buy this instead of an adventure bike its way more fun. The Gixus feels small, almost like a 600. It is fast, economical, comfortable, reliable, excellent value for money and great fun to ride. If you cover lots of miles buy this instead of an adventure bike its way more enjoyable! Make sure you ride the bike, some suffer from a snatchy throttle, mine is stock and has no issue, the bad reputation enables some amazing purchasing deals both new and used! This is a hidden gem of a bike! Ride quality is good, very comfortable on full day ride outs no numb bum, wrist or neck ache. Seat is wide and has ample padding & I find bar, peg location ideal. Screen works okay to 80 mph after that there is buffeting unless you tuck in slightly. Brakes are good after initial sponginess on front, back is slightly weak although the ABS does kick in so I must lock up on my other Non ABS bike. Great engine with loads of pull, a bang in the middle and a real rush to the limiter. Sounds great even with the stock exhaust but doesn't have the theatre of the MT10s cross plane. Nothing in it performance wise. Suzuki claim about 145hp and most dynos support this, Yam claim 158 but rarely produce more than 145 on the Dyno. Do not believe sales hype! Just for fun I tried playing through the very slick gearbox, no quickshifter or blipper but do you really need it? You can potter around in top from 22mph and pull cleanly away or sit at 70 in any gear. My only gripe is he ratios taken straight from the GSXR, they are too close so you really only need 1st 3rd 4th and 6th. It would have been great if they opened up the ratios for more road bias with 6th as a low rpm cruiser. Build quality looks good but some of the fasteners are plated rather than stainless and furring up in the winter. Invest £50 in full stainless fasteners and an ACF coating to make it winter proof. Surprisingly frugal on a 60 mile motorway commute, hitting 57mpg and 200 miles on a tank. Hard weekend riding with R1s (it keeps up easy) and similar pulls it down to 40mpg. Service is 7500 miles so costs aren't excessive. Riding on Metzeller Roadtec 01s, went to a 55 profile rear they have excellent grip and feel. Was ready to strike a deal on a brand new bike from Powerslide in Stoke On Trent at £1500 off RRP, Guys there were great. A private bike came up locally saving more than £2k and after looking it over it was mine. A deal too good to miss. The suspension is awful. It's over sprung and underdamped at front and pogo stick on rear. Shame, as its very poised and sharp handling, but gets in a pickle on bumpy fast roads. Throttle is way to sensitive. Brakes are also poor. Very wooden, no feel. had mine from new in June 16 and done 3500 on it so far. Cracking engine which is let down by awful on/off throttle. Stutters badly at filtering speed. Rising position is great. I've just paid for suspension overhaul by MCT this week and what a difference ! New rear nitron shock and fork internal springs and oil changed. It now handles as it should when pushed on bumpy British roads! Brakes are good but lack bite. As soon as a remap is sorted for the throttle issues it will be a great all round bike! Poor suspension makes the poor throttle even more hard to deal with. If you hit a bump at speed you can find yourself lurched forward or backwards. It's not relaxing and becomes unnecessarily annoying £700 spentbon new suspension front and rear has sorted mine. I may try new pads in front brakes to see if they willl Hine more bite. Stonking! Pulls like a train with massive amounts of power everywhere. Turn the TC off and it's wheelie heaven! Even sounds great with standard can. Great deal from Bolton motorcycles. Bob looked after me very nicely. Top dealer. I love everything about this bike compared to my last bike which was a gsx1250fa. I think the build quality is excellent and I've not had any issues with reliability. not sure where mcn got their average fuel consumption from, they must have thrashed it everywhere in 3rd gear. I get between 50 and 55mpg every time I go out and get 190miles on a full tank of fuel and I don't spare the horses. I know Suzuki haven't aimed it at the touring market but with the addition of some soft luggage this bike is more than capable. Excellent all round, great looking, economical bike. Excellent ride quality and great Brembo brakes. When brakes are applied, they react. Great performance and excellent delivery of speed. Awesome torque and great feel at speeds. Fat bars are great and the stock exhaust sounds absolutely amazing. Other than that, I think panniers would spoil the look of this gorgeous bike. Great bike, think Suzuki have cracked the road sports bike sector for people who want a sports bike mainly for the road that is practical comfortable, but can still mix it with your typical drop down barred sports bike. standard can sounds good, i personally like the look, however it has been commented that from the front its got a scooter type look. Think it looks timeless elegant sought of look, bought mine in Triton Blue. Engine seems to pull great, even when you get the gears wrong! I did test ride the naked version of the Z1000 about 5 years ago, which is almost the same engine in the current Z1000SX + a few minor improvements, i have to say the engine in this bike trumps it! it feels livelier, it does at times at low speeds feel snatchier, there again that could be me getting use to a 1000cc coming from a tamer 105bhp 600F Honda CBR to a stated 145Bhp (although during tests by mags they seem to think its more like 160Bhp and that's how it seems to me, compared to my memories of the Z1000. Quality seems excellent, to early to comment running costs and reliability, i expect reliability to be good, and running costs to be reasonable. 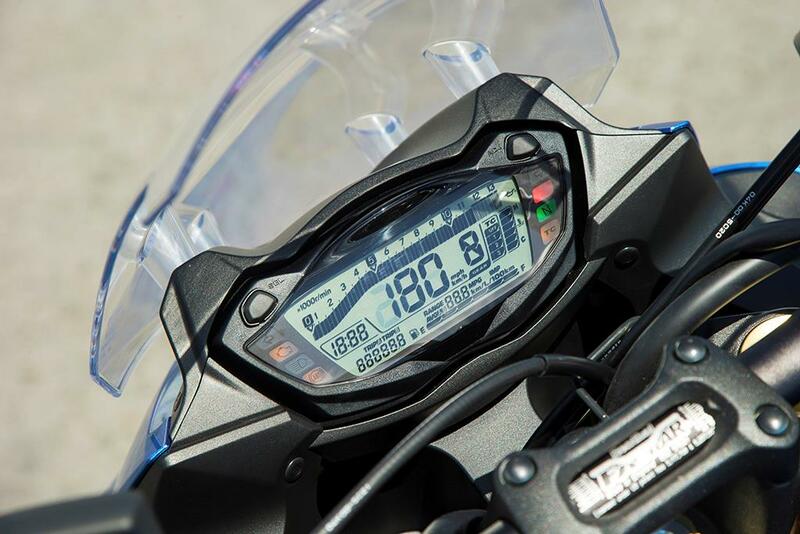 Poll: What do you think of the new GSX-S1000F?